Whether your online brand has been in business for years or is just starting to dip its feet in the water, there is a need for knowledgeable SEO practices in order to generate and guarantee long-term exposure. In the past, gaining attention in select search rankings was relatively simple and required just a bit of basic knowledge to get started. These days, however, it can be much more difficult and nuanced to ascend the ranks of select search engines, meaning that some will need to enlist the services of a professional SEO enthusiast or firm if they wish to gain traction. For those who find themselves pulling their hair out in frustration over lagging in the doldrums of select SERPs, you may be hesitant to fork over large amounts of money to a firm or individual. How much is a fair price to pay for select services? We will detail these considerations in the following article to help you save money and avoid the least effective services out there. Depending upon your needs, you may need help with pinging links to search engines or a complete website audit. These services are usually one-time or project-based expenses, so it is common to enlist the services of an SEO firm for a limited period of time to assist in this regard. 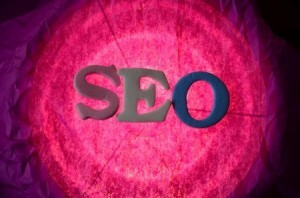 The prices of one-time SEO services can vary dramatically, depending on a number of factors. For starters, the size and scope of the project will obviously affect the cost. In addition to this, your cost will vary depending on the quality of services offered. Many services, such as copywriting, can be found for less than $20 per page of content. Larger and more complicated projects, however, can cost thousands of dollars. Any SEO consultant that provides valuable services such as link building and keyword optimization often can provide his or her services for an hourly rate as well. Depending on your business’ angle and project, an hourly rate may prove to be the best way to enlist the services of an experienced professional. Usually, hourly pricing is reserved for larger projects that are time intensive but not labor intensive. A fair market rate for services from a respectable freelance agent may cost anywhere from $15-75 per hour, while agency rates can often be anywhere from $75 to $300 per hour. A very common arrangement between SEO firms and established websites, monthly pricing for services can be a great way to get the best rates on services that are perpetually required. Having a company or agent on retainer is a surefire way to ensure that your projects and rankings are always optimized to be competitive with other brands. In many cases, SEO firms will charge brands anywhere from $500 to several thousand dollars per month to be at their beck and call. Arrangements such as this can cover virtually any SEO-related need, from pinging links and metric monitoring to social media operation and content creation; the flexibility that monthly pricing agreements offer make them very appealing to those with a long-term ground game.